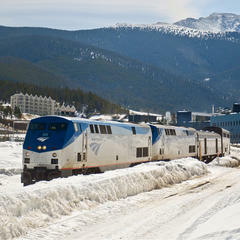 This month, Colorado skiers are ditching the four-wheel drive and studded snows for a rare opportunity to ride the rails aboard the Winter Park Express, operated by Amtrak. 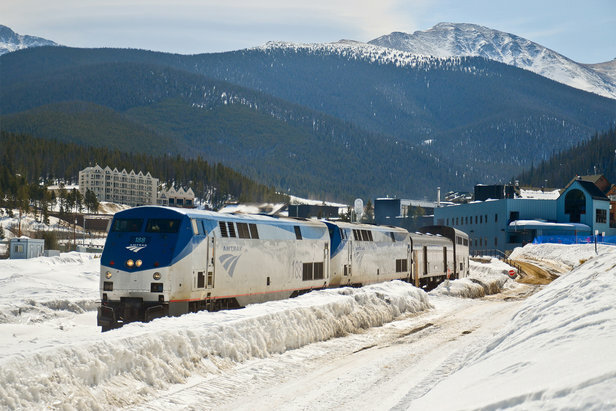 In mid-March, a round-trip ski excursion train will deliver skiers from Denver Union Station to the slopes of Winter Park Resort and back again the same evening. 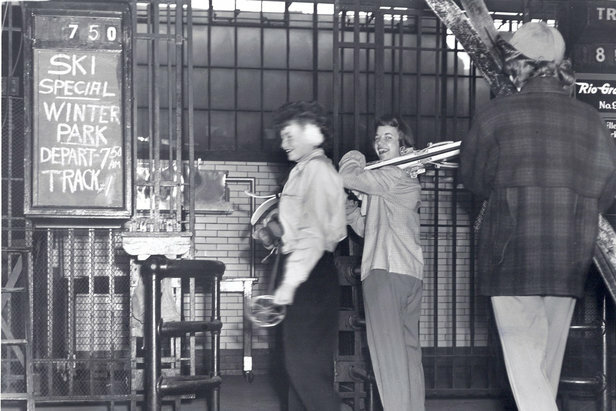 Tickets for the exclusive train ride sold out in record time, twice! After the initial announcement came in late February, Denver-area communters jumped at the chance to avoid ski traffic delays along I-70 and US-40. The seven-car train, accomodating more than 450 passengers, filled up in under 10 hours much to the surprise and delight of both Amtrak and the resort. 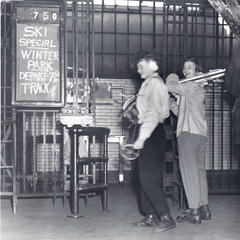 In the late 1930s, before Winter Park was even established as resort, people use to get off the train at the West Portal stop and ski. 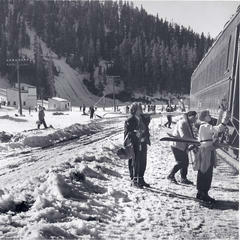 This proximity to the railroad helped convince the City of Denver to establish Winter Park as a winter recreation destination for its citizens. 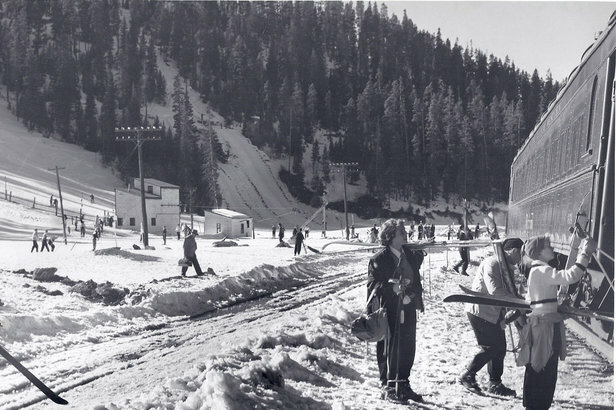 For decades–starting in the 1940s–a Denver-Winter Park ski train made the two-hour trip on Saturday and Sunday carrying weekend warriors to the steps of the resort. Direct service was discontinued in the late 2000s due to the high cost of operating. 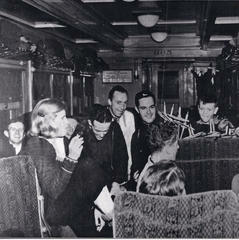 In recent years, rail travel seems to be enjoying a revival of sorts. Not only does this present a great alternative to the jammed highways, but a practical use of the exisitng infrastructure. The Winter Park Express will travel 65-miles along the historic Union Pacific railroad, sharing part of the route of the daily Amtrak California Zephyr to and from Denver, and passing through the landmark Moffat Tunnel–a 6.2 mile tunnel cutting through the Continental Divide. 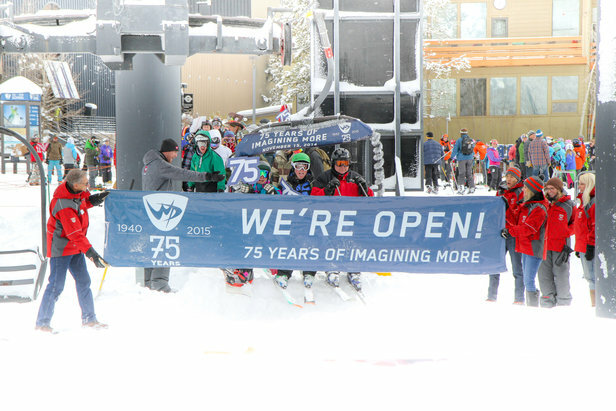 "Winter Park Resort’s very creation was predicated on the railroad, so it's only fitting that we celebrate our 75th anniversary with this return of passenger rail service from downtown Denver to the resort's doorstep," said Gary DeFrange, Winter Park Resort President and COO. "We are excited the Winter Park Express not only provides our guests an alternative to the traffic quagmire on I-70, but also for the potential it represents for rail service in the future." The hugely positive response to the March 14 train spurred the resort and Amtrak to add a second day's service for Sunday, March 15. This announcement in turn saw even stronger response, selling out a second seven-car train in just four hours–a pace of nearly two tickets every minute. The price of a ticket includes a voucher for use in resort restaurants and retail stores. Discount lift tickets for those traveling by train are also available. The Winter Park Express will depart Denver at 7:00 a.m. and arrive at the resort at 9:00 a.m., leaving Winter Park at 4:15 p.m. to return to Denver at 6:15 p.m.—providing a full-day of skiing without the headache of traffic delays, accidents and poor driving conditions. Celebrations will be held at both ends of the journey to mark the historic event. Given the overwhelming response to these excursion trains, a seasonal revival of the Winter Park Express will be a major consideration for the resort and Amtrak for the 2015–16 ski season. Winter Park Resort celebrates a milestone year with a stellar opening and new on-mountain restaurant.